I work on a reward basis... You pay what it's worth to you to have me find it for you and what you can afford. If I have to travel to get to you there may be a call out fee to cover my gas. We can discuss this when we you call me. 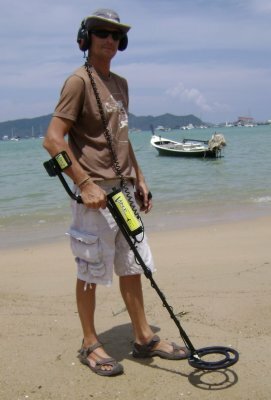 Experienced with metal detectors, 40, Russian, Expat 16 years in Kingdom of Thailand. Research, travels, expeditions. Dive PADI advance.